When we need to sanitize and disinfect wounds one of the most common household first aid items is alcohol. If you’re not a fan of this antiseptic, you may want to consider a good substitute for rubbing alcohol from our list below. Some people don’t like using alcohol in their skin for one reason or another. Some don’t like that painful stinging feeling it gives you. Others, just don’t like the fragrance they have. Whatever your reason for not wanting to use rubbing alcohol, the good news is that there are a number of other alternatives you can use to get the same or similar results, which is mainly disinfecting and sanitizing. Although isopropyl alcohol might be of great use when disinfecting and cleaning wounds and services, it can also cause irritation to some of the body parts. For some people it can be bothersome, cause redness or other issues due to its harsh chemicals. Isopropyl alcohol, which is often how rubbing alcohol comes in stores, can cause side effects like giant hives, itching, rashes, redness of skin and skin inflammation. This is due to a topically applied medication, and the stinging of skin. How much it bothers and irritates your skin can vary from one person to the other. While scientific evidence has shown that proper washing of wounds along with the use of isopropyl alcohol is a good way to clean wounds and keep them infected, research has also shown that some people’s bodies don’t react well to the substance. If you happen to be one of the individuals who don’t react well to alcohol when used for hygienic purposes, it’s important to use alternatives in its place. Below is our list of the best alternatives to rubbing alcohol. Vinegar is a non-chemical liquid. It is a mixture that consists of around 5% to 20% acetic acid. It is the acidic compounds in vinegar that gives it the properties which are similar to those of alcohol. 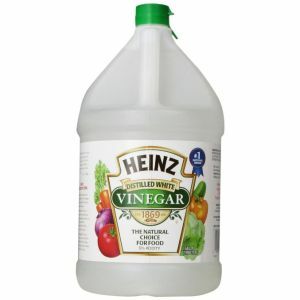 As a result, vinegar also has the ability to disinfect. Vinegar is commonly used for cooking or in pickling. It is sprinkled on food as well for extra flavor. What’s great about vinegar is that it has a lot of uses. Plus, its uses aren’t limited to food. Vinegar kills a wide range of bacteria and germs. The great thing about it is that it is safe for kids as well as pets, even when consumes. 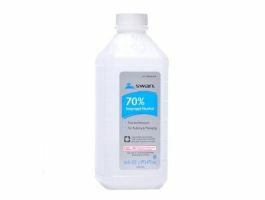 Not only is this liquid edible, it can also be used topically or on objects for cleaning. Vinegar also works to get rid or minimize grime on house hold surfaces, for whitening teeth and also in healing inflammation on skin. It has been used in industrial, medical and domestic practice for a long term. The best thing about vinegar is that there are very minimal side effects. In fact, there have been very few issues related to use of vinegar both topically and internally. The only danger is using too much of it. Another good substitute for alcohol is hydrogen peroxide. Hydrogen Peroxide happens naturally in nature. It is also present as well as inside the body. 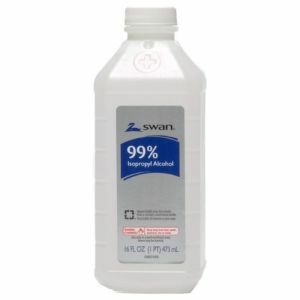 This product is used to disinfect surfaces and wounds. 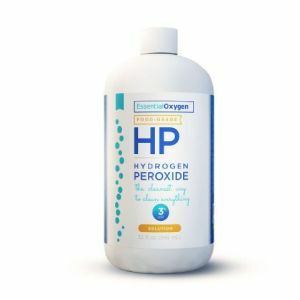 Scientific research has shown that hydrogen peroxide is as effective as alcohol when used for destroying bacteria on a certain site. Among its therapeutic uses include the treatment of gingivitis, infections and emphysema. The side effect cases which have been reported after the use of this product are likewise few. Witch hazel contains chemicals called tannins. It is naturally produced and mainly works like an astringent. This is thanks to its anti-viral effects and anti-inflammatory properties. Witch hazel is also gentle as it can be taken internally and also topically. In addition, it also helps in slowing bleeding, reducing swelling and pain, fighting bacteria and healing infections. Plus, it might help treat other ailments like sunburn, acne and tumors. If you’ve watched old western movies, you’ve probably seen some of the cowboys used liquor to disinfect their cuts or wounds. They work. Essentially, spirits and liquor contain alcohol. What makes them better than beer and wine is that they contain a higher concentration of alcohol. This makes them more effective as antiseptics. This is why distilled spirits can also be used as an alternative for rubbing alcohol. This is especially true when you don’t have any of the above substitutes. 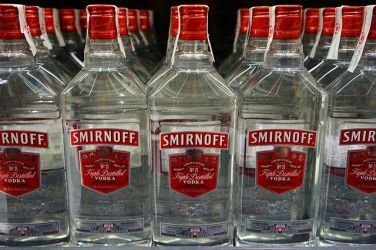 Vodka, which contains 40% alcohol works well as antiseptic. It contains an ethyl alcohol which can be consumed unlike isopropyl alcohol. Isopropyl alcohol when or if ingested is poisonous. For this reason, it is meant to be kept out of reach from young children. Distilled spirits work by drying out the skin surface. It does this by absorbing the water out of the skin. The liquor also absorbs the water out of the bacteria. Doing so kills the bacteria. The good thing about using distilled spirits is that it also safe for your skin to absorb. Some of the side effects of using this liquid include allergic skin reactions, which been reported from topical applications.